Yay to Friday! Right before the weekend starts, I am sitting here, drinking some wine, celebrating the weekend. While doing that I would like to share a super pretty birthday present I received from fabulous Dr. Ebru (aka chic science ,<3). Am I not a lucky girl? It was waiting for me right after I came back from holidays and I got so excited that I got my nail in the pot so please excuse me for the dent *grins*. Tom Ford AW15 Runway Face Color is designed for cheeks, eyes and lips. Such a versatile and practical product. Grab it in the morning, smear, smear, blend a little and you are done! But... does this really work? Right after the jump. Tom Ford AW15 Runway Face Color has a chameleon shade, it looks lie a warm terra-cotta on the swatches but once applied on the face I see a good amount of rosiness. On my cheeks, lips and eyes it is more of a neutral rosewood shade. The consistency is like a regular cream, a bit like a foundation or a lipstick. If you would put lipstick in a pot, the consistency would be similar. Chic science has a good post with analysis of the ingredients and beautiful close ups (without a dent!) so go check that out as well. The thing about AW15 Face Color is that it is not shimmery but it is shiny due to the oily formula. High up on the ingredients list is castor seed oil and some other oils down the list. I would describe it as resembling hydrating lipstick or one of the lip oil/balms recently released (a few are reviewed here and here). The pot (but not the formula) resembles the regular cream eye shadow of Tom Ford, it is made of glass and has 6g/0.21 Oz of product. 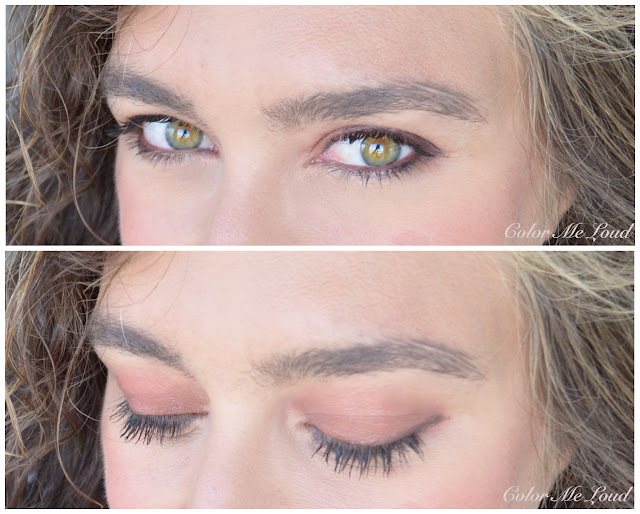 marsala color on the eyes of the model on promo photos so I packed the color on my lids as follows. Then I wanted to add some liner and noticed that they don't stay put on this formula all that much because oil solves them and they look smudgy. Which is still fine. But then in less than an hour or two the eye shadow was creased on the eye. You can even see a light creasing on my right eye right after the application. I tried it with Nars Pro-prime and Clarins Instant Light Eye Perfecting Base (reviewed here) . On Nars Pro-prime which is better for dry eyes, the effect was even worse but on Clarins Base it creased as well. I have to yet try it on a base which is designed for oily eyelids, like the one from Tom Ford. That said if you don't pack up that much product and leave the application very sheered out, you might get along with this product just fine. If you want to pack it on like the model on the runway, it only lasts for a hour. You are then good for the runway but afterwards you need to reapply your make-up. Good news though, on cheeks and lips it works like a charm. I love how natural but unique this shade is. I believe I will be reaching for it more often as a cheek & lip product. Below I am wearing Tom Ford AW15 Runway Face Color on eyes, cheeks and lips for a monochrome make-up. I wore this make-up to a night out as well as at my last day at work and to the farewell party. It was a super hot day nevertheless the cheeks survived quite well. Final thoughts: I am loving Tom Ford AW15 Runway Face Color for cheeks and lips but on my eyes it creases within an hour if built up to some intensity. It has a lovely shiny finish which looks a little oily and runway chic on eyes, cheeks lips alike. That said it is good for runway but not for the full day, especially on eyes so make sure to either sheer it out or use it for shorter occasions. 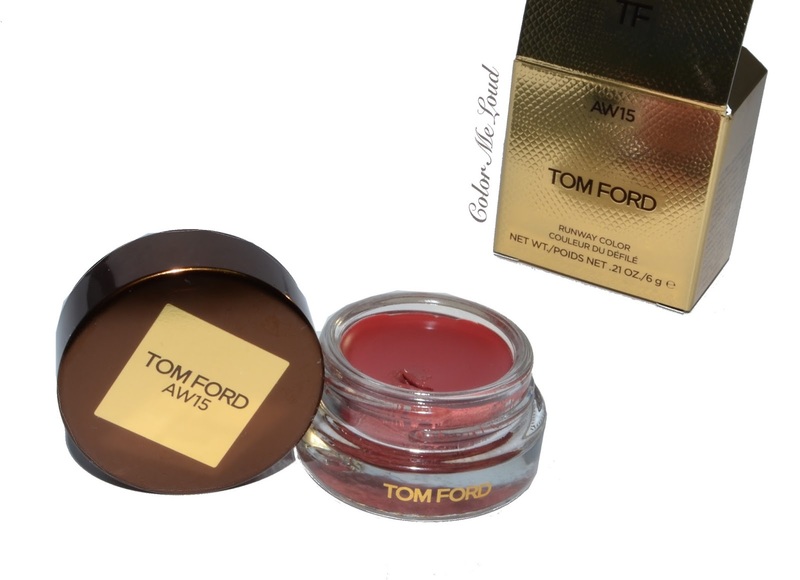 Have you checked out Tom Ford AW15 Runway Face Color? Do you know any other product which works on eyes and lips alike? Disclaimer: The product in this post was a gift for my birthday. Hey Sara, thanks for the review! I did think this product is too ambitious. I can't really see ANYTHING working on the eyes, cheeks, AND lips. Glad to hear it works well on the lips and cheeks tho! I really like how it looks on you. You managed to totally pull it off! Well, I have been known to do the lipstick-blush trick when in a rush or for a casual look. Really like the monochrome look on you especially with a tan. It looks great on you, Sara! I guess if it stays put on the eyes like his cream shadows, it would be quite impossible to apply on the cheeks and lips. Maybe too drying? Now that it's great for both cheeks and lips, it'll be too emollient for the eyes. Can't win :-) Still a beautiful lip and cheek pot though. Skipped this collection entirely because TF begins to annoy me. I think in his desire to surprise and outsmart with innovative (unusual) makeup he starts to forget that the first purpose of the product is to be used by consumers, especially for its very high price. He still needs to find a balance between being innovative and producing wearable products. WIll buy new cream shadow for Christmas because he makes them well, if color will be ok, and will skip all lipsticks because I don't wear enough his LE lipsticks from this and last year. I forgot I had this. I won't even be trying this on the eyes. I've tried it on cheeks and lips and it's very pretty. It's the kind of think I'd use like a Bobbi Brown Pot Rouge on the beach, not something for a polished Autumn look. Though you looked very polished at your do!! I agree with Jane, I won't be buying any more Tom Ford Lipsticks for a long time. I love the ones I have, but I have every single shade represented and there are other lipsticks I use more. I've loved the Tom Ford Summer collections though. I'm still using them---- totally worth the money to me!!! I think the name of this product says it all: AW15 Runway Face Color. In other words, it has an element of "special effects" about it that worked on the runway. It looks very editorial on the eyes, but isn't practical and that is often the case with runway looks. They can be dramatic and statement making, but never translate to the real world. As for this product's lip and cheek application, now there's an idea that has proven time and time again to work well in everyday life. Like many women who favor an emollient lipstick, I'll often use it on my cheeks as well. In fact, on several occasions I have purchased a creamy, richly pigmented lipstick for the sole purpose of using it as a blush :-) Now, back to Runway. Long story short: The color didn't work on my skintone and so I gave it a miss. This gives such a fresh, healthy glow! But weird that it's advertised as an eye colour as well- sounds like the texture isn't quite right for that! If only these multi-use products would stay put on lids! I love the look but I guess 'glossy eyes' belong to the runway and editorials. I so waited for this review! But still i cannot decide! For this monochromatic effect its the perfect tool! Or maybe as a base for his new eye and cheek products which from swatches i have seen are quite sheer. Perhaps i could try it somehow in person at my next visit in London.i really love the Marsala color on you! Thanks for this review Sara!! I've been eying this one, but an eye/cheek/lip 3-in-1 just sounds funny to me. I wear lipstick on my cheeks sometimes too!! And I used to wear blushes as eyeshadows when i was growing up too... ;P Pity it doesn't stay on the lids at all.... the color looked so good on you! I think new cream eye shadows are to be expected with TF holiday Collection. I would like one with a purply taupe shade, how beautiful it would be. Platinum is rather cool on me but somehow lack a tad of mauve/blue/purple something to work. I love the formula of the cream eye shadows but none of the shades really speak to me 100% to be honest. Oh yes, some of the primers are better for oily gals some are better for us dry folks. My holy grail one is certainly Nars Pro Prime, have you tried it? this is really so interesting, I am so curious to see that I might even see a plane ticket to London justified. Nothing creases on me and this one does! I was wondering, should I try to wear it without primer? Maybe there is an adverse effect in the combination? Oh yes we all collected enough TF Lippies for a life time. Considering how much they cost, it is definitely good to take a break... in theory it works.. I will see if I can control myself once the shades are available here. You are right, it is impossible to design a product which works on all different parts of the face. Also everyone is so different, some have oily eye lids some have dry eye area. To even come up with an eye shadow base which works for all eyes is impossible. The shade is really pretty but I still think while trying to do it all, it can't do any of the things reasonably well. you are so right, it is a runway product so it is designed for that purpose. 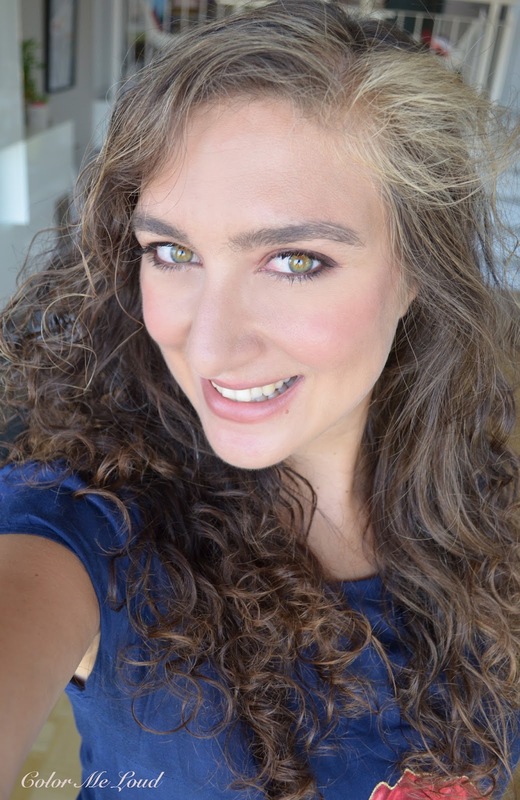 I am one of those who use my lipsticks for cheeks and it works with some of the formulas so well that no blush would look so good :-) I can see you buying lipsticks as blush, why not, the formula is so close to our beloved cream cheek products after all. Face Color is written on it but on the promo photo the eyes of the model is so striking, you want to buy it and smear all around your eyes. At least this is how I felt haha. Yes it looks a bit glossy which is such a flattering look, that of course until it creases haha. I suggest you don't "eye" that one but "lip" or "cheek" it. LOL. You are right, there is no way it would work anyway. Oh blushes ay eye shadows, something I have almost never done but I have seen even Lisa Eldridge doing it! I have a sample of the Nars which came as a GWP, and I do use it. But because of my lid discoloration, I often need some color correction as a base. So I use either the Laura Mercier eye tint or my new one, a MAC pro-prime shadow called Let's Skate. The powder shadows cling to it nicely. And yes, I totally second the vote for a purply taupe shade in the cream eye shadows. I can just picture it. Let's concentrate hard and see if we can inspire that. honestly I think you can save your money for other pretties. I have heard that Tom Ford Holiday will be pretty, why not wait for that? I haven't checked Eye & Cheek Ombres from this collection. I am eyeing the plum one but yes the swatches look all very sheer, nothing I prefer on me. I might give the collection a miss and wait for the holidays! haha you are right, let alone three usage at once, there are hardly any "good" products which work for cheek and lips. You are right, this reminds me of MAC Glosses as well. Not that glossy but there is an oily, shiny finish which is gorgeous for the short life span, then it looks worse than not applying any make-up on. Hahaha Alison, yes Let's form an make-up addict group and wish for this particular color very hard, may our energy influence the make-up gods! Yes now I remember, we talked about it! I will check LM base as well. I also have deeper skin color on me lids.